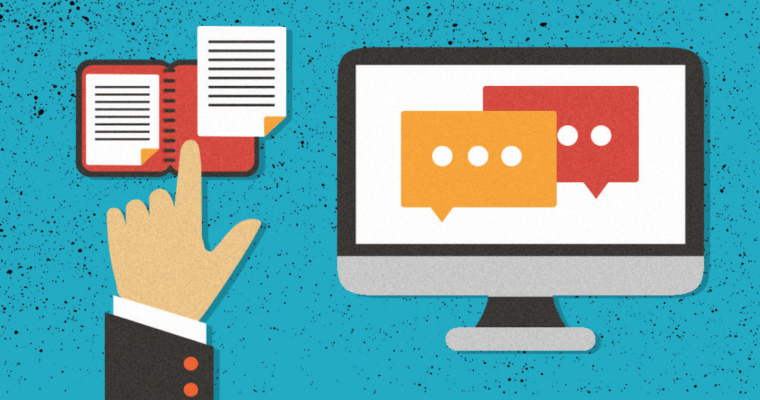 Blog comments can legitimately help your brand if done correctly. The problem? Many people in SEO don’t use them correctly. Over the years, blog comments have been misused and abused. As a result, some people no longer even consider blog comments a worthwhile link building tactic. Blog comments are usually viewed as the opposite of the link that keeps on giving. Blog comments are usually the nightmare that never ends. I’ve worked with some of the top brands in ecommerce, tech, and travel and have some tips to help you tackle blog commenting effectively. There are a lot of link building tasks to fill up your workday — content creation, link reclamation, podcasts, oh, and actual work. Blog comments are no longer a high priority tactic for link builders. However, rather than dismissing blog comments entirely because it’s an outdated spammy link building content (and it can be when done wrong), maybe you should reimagine it as a type of community engagement. Former Google Distinguished Engineer Matt Cutts once perfectly explained the difference between spammy blog comments good blog comments: the key is leaving topically relevant comments on topically relevant sites. Think of blog comments as a more sophisticated, grown-up cousin of what once lived of blog comments in the ’90s. They can be engaging and add value — though they require slightly more work. More traffic to your website. If this is your goal, your best bet is to comment on blogs that get a lot of traffic and are in your industry or niche. Reputation building. You can use blog comments to build your personal brand. Just be sure to use your real name and an image of yourself if the blog allows it for your profile. If you’re using anchor text or keywords as your name, you’re doing blog commenting completely wrong. Expert positioning. People will get to know who you are as you demonstrate your expertise on relevant topics. You can achieve this by lending a helping hand or just agreeing with someone. Building inbound links. If you take the time to comment on two blog posts per day, with a backlink back to your website (even if the links are nofollowed), the end result will be roughly 60 backlinks per month, or 720 per year. Leads and conversions. If you can attract more visitors to your site, you can potentially convert them from visitors into leads. And those leads could turn into customers or clients and actual revenue. As for ranking? Years ago, the right comment on the right blog may have a powerful way to improve your rankings. Today, it’s not nearly as effective as it once was. Find high-quality websites to comment. When I say high-quality, I’m looking for websites with a domain authority of 60+. After you pull your list of top websites, search for an article most relevant to your target audience. Now, you can begin to add value with your comments. I follow the “sandwich affect” when I comment on an article. Acknowledge the author by name and add a compliment. If you add a link, it needs to be relevant and add value to the post or discussion. Again, acknowledge the author by name and end with a compliment. Remember to keep your blog comment short and sweet. I aim to keep mine under 100 words. Make your comment valuable to the post and the discussion. A comment that has nothing to do with the post itself, no matter how long and intelligent it sounds, won’t help you one bit. You have to actually read the post and make your comment a response to the post, or a response to another commenter’s comment. Be a valuable commenter, not a comment spammer! Manual commenting. This is not something you want to automate, spam, or copy/paste! Blog comments can give you a greater reach to your target audience. Blog comments help grow authority and thought-leadership if you’re name and face is being seen on well-known websites.